The fabrication industry heavily relies on the shop floor process and the efficiency of their fabricators. Efficiency implies the accuracy and error-free fabrication drafts produced in 3D CAD models and the ability of the fabricators to interpret them. Nonetheless, efficiency in the fabrication industry can be a sensitive subject, especially in industries which engaged in fabricating products and renovating existing components. For example, an old support beam is sagging, can be strengthened using angles and channels whereas a corroded beam needs to be replaced with a new one to maintain their efficiency. 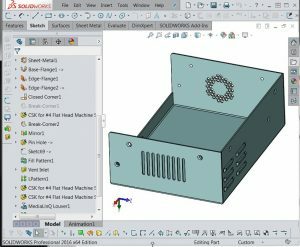 But one thing every person in the metal fabrication industry agrees, that selecting the right CAD designs and optimising the CAD process. 3D CAD modelling and optimisation of CAD processes merely means each line and groove made, every PMI which is inserted within the 3D CAD models and fabrication draft during the design and product development is accurate and adheres to the shop facilities of the fabrication units. One of the most significant factors deviating the CAD process from being optimal is that the fabricators are unaware of what happens at the CAD stations and the same applies to the drafting contractor as well. Due to this, there is a link missing between the shop floor and the CAD drawings for metal fabrication. The first step required to is formulating a robust, strategised and synchronised work structure which links the shop floor with the drafting contractor. This also implies the CAD designs and drawings for fabrication should not be returned for non-capabilities of the shop floor and RFIs. Fabricators need to fill the gap between the drafting contractor and the shop floor to optimally utilise 3D CAD models and CAD designs for enhancing its profitability. Guidelines, allowances and other machining errors need to be considered in the design stage itself. 3D CAD models and CAD designs need to undergo certain strict quality checks before these are released for fabrication. While the strategy to synchronise the 3D CAD modelling process with the shop floor might sound simple, it needs a lot of planning and coordination. 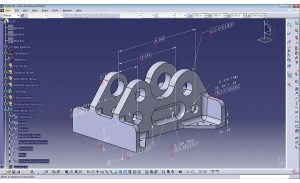 It is not surprising to know that most CAD drafting services end up spending almost 30% of their time on non-productive activities due to a lack of coordination with the shop floor. Whereas opting for drafting services of a 3D drafter on contract who understands your shop floor capabilities, tool setting capacities can help you optimise 3D CAD modelling process to improve the profitability of your fabrication business.